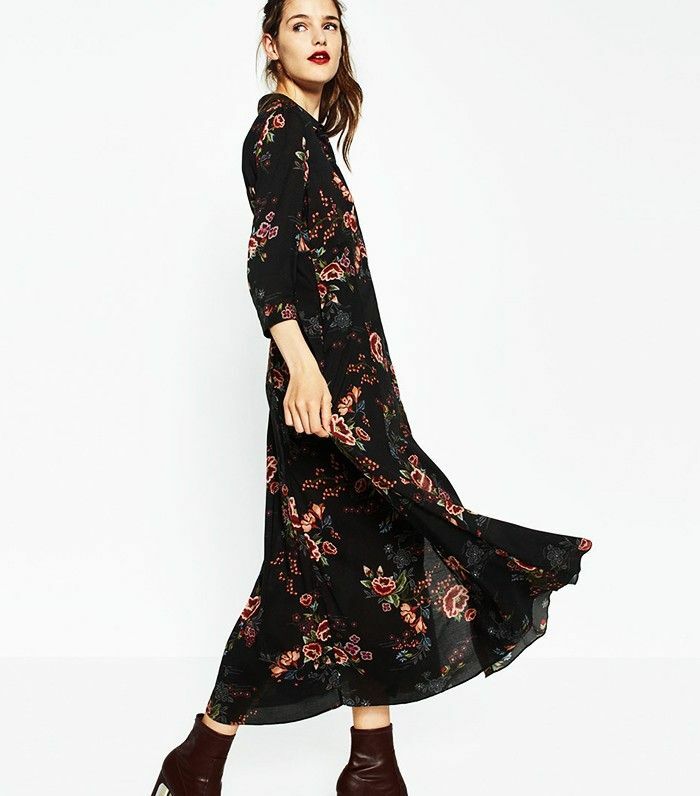 We're constantly on the lookout for new Zara website categories, as they always feature a curated selection of the retailer's best stuff, and they frequently update them with relevant new arrivals. One of their latest additions is Trending Picks, aka the pieces that people are talking about across the web and on social media, so you know that they must be good. Their current selection even includes pieces that we've recently featured. If you love Zara but tend to get overwhelmed by the amount of inventory (i.e. all of us), the Trending Picks category is a great, well-edited place to frequently peruse, and we're hoping that it sticks around. In keeping with the fall trends that people are shopping for right now, the trending picks feature tulle, velvet, mid-shin boots, embroidery, track trousers, ballet flats, and lots of metallic. Keep scrolling to shop our top picks from the Trending Picks category, and be sure to let us know what you're buying in the comments section. We like to think of this as autumn's version of a pretty sundress. Upgrade summer's wicker bag to this. We can't wait to wear this with a slim turtleneck. Pair these with raw-hem jeans. Find out how to shop Zara like an expert.